MailShipDirect.com is the mailer's wholesale-source for high-quality, USPS approved, postage meter and mailing equipment supplies. 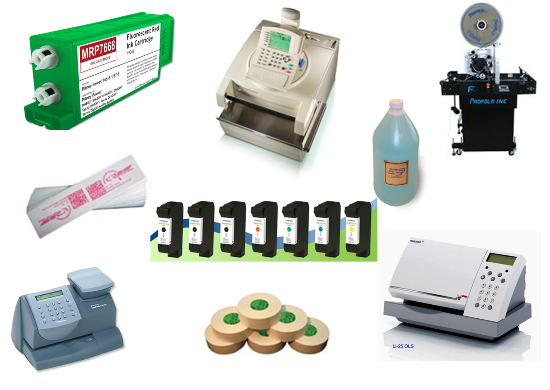 Our products include high capacity, postage ink cartridges for Pitney Bowes, Hasler, Neopost, FP, Secap & Data-Pac mailing systems, clear poly & translucent mailing tabs, white paper wafer seals & HP, Collins & remanufactured inkjet cartridges for Rena, Buskro, Kirk Rudy, Astro, VideoJet, Datatech, Martin Yale, Accufast, Pitney Bowes, Hasler, Neopost & Secap tabbing & addressing machines, E-Z Seal sealing solution concentrate, postal meter tape strips & mailing labels, Satori Bulk Mailer Pro & SmartSoft Smart Addresser 5 - CASS, PAVE, NCOA, IMB certified presort mailing software, barcode scanning receiving & delivery systems, folding machines, folder inserters, pressure sealers, letter openers, mail carts, tubs, sorters & mailboxes, shredders & more. Our philosophy is simple; if you're not satisfied, then neither are we. As a mailroom supply company, all of our ink cartridges are specifically engineered for their designated mailing system utilizing only USPS approved red fluorescent postal ink, come with a 1-year replacement warranty, do not expire like the others, are manufactured in the U.S.A., not China like imitation brands and are guaranteed not to void your manufacturer's warranty. MailShipDirect.com is the only online source for Pitney Bowes supplies and other high quality mailroom supplies that can make all of those claims. For your equipment purchases, we're happy to assist you in obtaining a maintenance agreement through your local service provider. We offer many products not on the site. If you don't see what you're looking for or would like a volume discount quote, please contact us at info@MailShipDirect.net or (865) 622-9213.